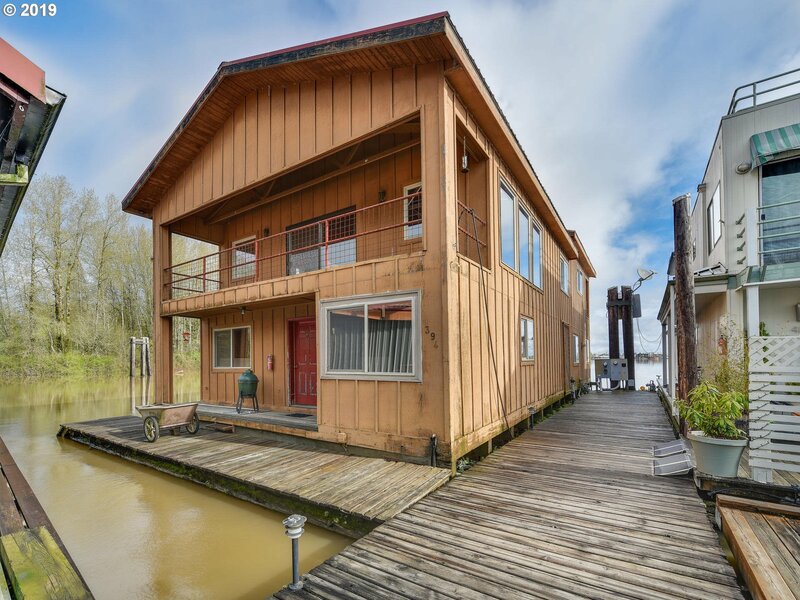 All Scappoose homes currently listed for sale in Scappoose as of 04/22/2019 are shown below. You can change the search criteria at any time by pressing the 'Change Search' button below. 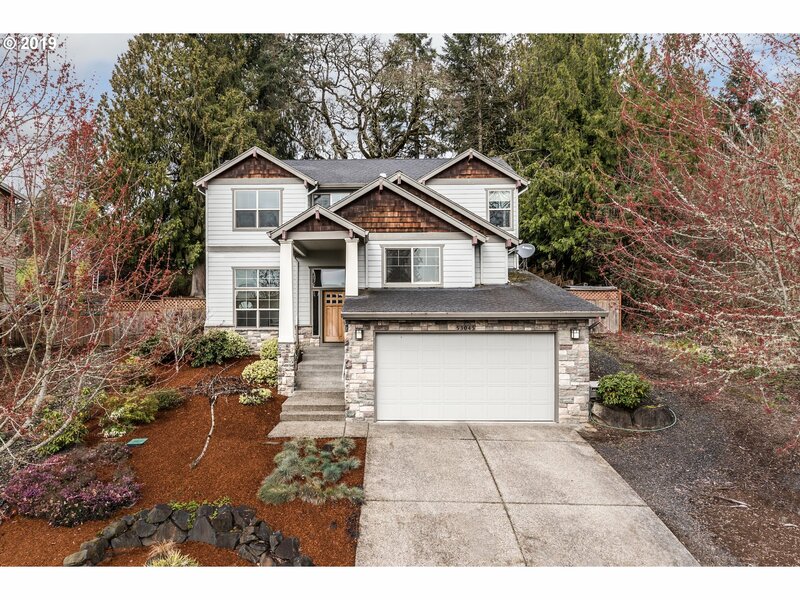 If you have any questions or you would like more information about any Scappoose homes for sale or other Scappoose real estate, please contact us and one of our knowledgeable Scappoose REALTORS® would be pleased to assist you. "Exceptional property loaded w/ amenities/options & everything impeccably maintained. Views of Mt Hood,St Helens,Jefferson & PDX!Log home,shop,barn,pond & sheds on 10 acres.Outdoor riding area w/lights.5 Stall barn,tack room,hay storage.Multiple pastures fenced & xfenced.3 additional buildable parcels (2-5 acres & 1-20 acre)One parcel w/septic approval.Timber cruise complete & available.So many options here you need to see to appreciate." "Endless panoramic views! Pristine sweeping windows, soaring ceiling & floor to ceiling fireplace. Kitchen w/ granite, 6 burner stove, grill & dbl oven, all focused around a spacious dining area with custom built ins. Master suite featuring jet tub & impressive walk in closet. Theater room and wet bar. Attached garage and large heated shop with office & bathroom. Salt water pool, slide & pool house. All sitting on top of the world!" "Stunning newer custom craftsman perched high on the hill with a far-reaching view of the Cascades and Portland lights! Built with attention to detail, this home exudes quality! Great room design and high ceilings, tile flrs, huge kitchen w/high-end amenities, mstr suite on the main level and a view from nearly every room! Private location on 2.22 acs w/30 x 35 finished shop. Easy commute to Metro area yet a small-town feel. Gorgeous!" "Live & Work! Recently annexed, L1-Light Industrial Zoning. 2.16 acres with existing home. Level topography. Borders the new Oregon Manufacturing Innovation Center (OMIC). Close to Scappoose Airport & new substation. 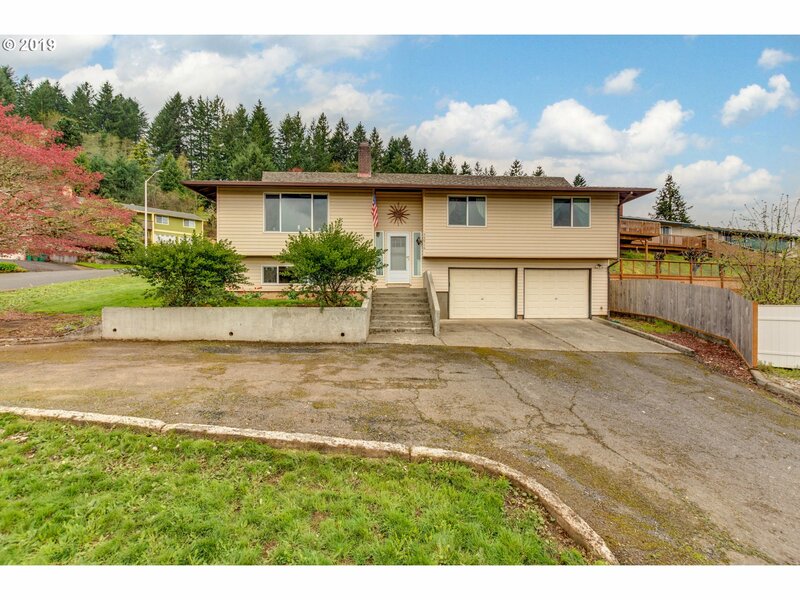 Minutes to downtown Scappoose & Hwy 30. Scappoose Creek frontage. Potential uses; Education Institute, manufacturing, mini-storage, home occupation, restaurant, parking, kennel & more!" "Step inside and feel the quality of this well appointed custom traditional situated on approx 1.63 acres. In the gourmet kitchen you'll recognize names like Wolf, Dacor, Sub-Zero and Asko. Generous rooms throughout including the master suite which overlooks the valley. The 4th bedroom is currently used as a home theater. Entertain in the covered pavilion w/fireplace and deck with built-in BBQ. The shop will accommodate a large boat/RV." "Unbelievable opportunity for developable land in the west hills of Scappoose. 7+ lots and a home with preliminary plat approval completed with the City of Scappoose. Original home could be updated or taken down for additional options. Property borders high end home developments and preliminary approval is for nice sized lots including some with view potential." "Once in a great while does a truly magnificent home such as this become available. Secluded behind custom gates this classic farmhouse was designed in 1921 w/timeless character, & incomparable craftmanship. 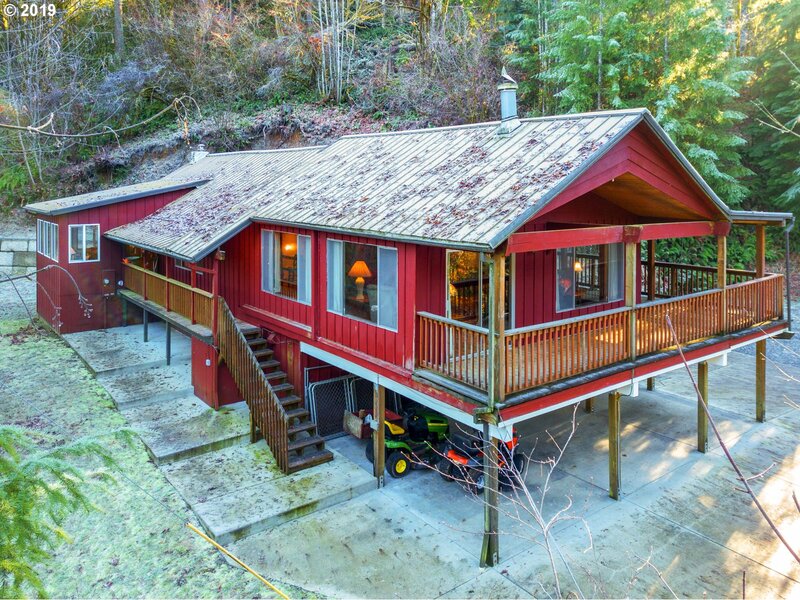 Original hrdwd floors,spectacular woodwork,remodeled kitchen,bathrooms, period detailing & thoughtfully improved throughout for todays lifestyles.Historic barn,detached studio, well, & lush lawns this home is the jewel of Scappoose." "Stunning home. 2.5 miles off Hwy 30 for easy commute! 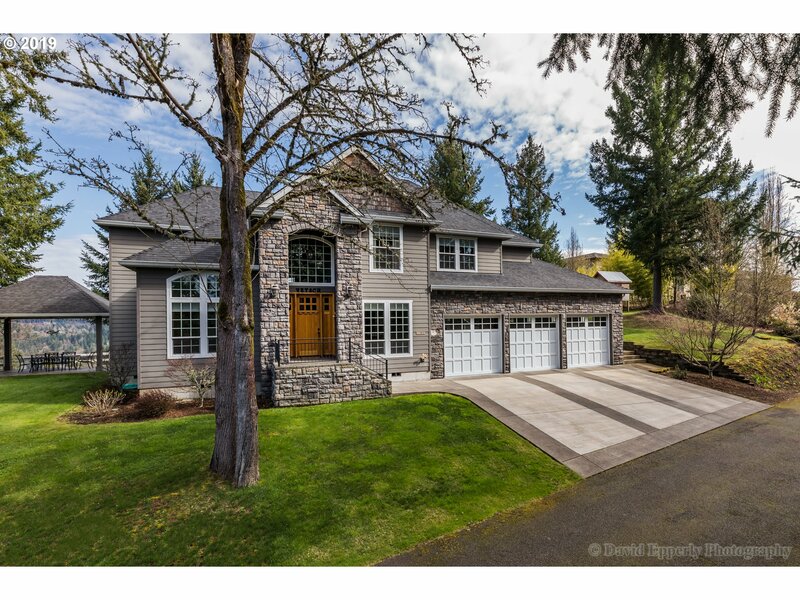 Enjoy the amazing view of Mt Hood from expansive windows and deck.Crown moldings/Box beam ceilings!Great rm,Gourmet Kitchen,Slab Granite counters, Brazilian Walnut floors, Stone Fireplace,Huge Master suite w/walk in closet. Master bath w/jetted tub w/fireplace! Outdoor out lets for lights on house. Generator hook up hot and cold water outside. Room for shop." "One of a kind gem just minutes out of Scappoose for quick access to Portland/WA Cnty.Exceptionally maintained mid century ranch on almost 4 acres.Beautiful kitchen,formal living,separate family room with hand crafted wood cabinets.Enjoy the sound of the creek from your master bedroom or relax on the deck in your own private oasis.Perfect set up to include guest quarters or artist studio. Barn/shop plus 2 car garage!" "Nestled on 6.12 acres is your own private paradise! Custom home built by Rocky Mtn. Log Homes offers open floor plan w/vaulted ceilings & boasts windows with exceptional territorial views! 2468SF with 2 bedroom, 1 with loft & 3 baths. Kitchen features gas stovetop, tile counters, garden window & pantry. Lovely wrap around deck & lower patio. Area above house has been plumbed for water & power for potential shop. Year round creek too!" "Enjoy living on your own fully functional mini farm! Inviting and spacious updated home with a dream kitchen that includes Italian plaster coffered ceiling, custom cherry cabinets, granite counters, island, double oven, and much more! Room for livestock, chickens, gardening and entertaining on fully fenced 1.57 acres with access to Crown Zellerbach trail system from property. 24x36 detached shop/garage with 220 power and 3 stall barn." "* Land Financing Available***10 Minutes to Town. Top of the Mountain..RARE OPPORTUNITY TO OWN A PROPERTY ON THIS ROAD, PRIVATE SECLUDED GATED PROPERTY SURROUNDED BY WEYERHAUSER TIMBERLAND, AND GOVERNMENT OWNED LAND. CLEARED AND PARTIALLY REPLANTED WITH TREES. 2 WELLS, NUMEROUS OUTBUILDINGS AND POLE BARNS. BUILD YOUR DREAM. Land Financing Available with 20% Down." "Two adjoining properties available (3.22 ac each) Both access Scappoose Airport on the west side. Possible Through the Fence access. The land is fenced, See list # 18579958 for adjacent property." "Large custom-cabin style home on gorgeous, private 5 acres. High, vaulted, open-beam ceilings through living room & kitchen with windowed walls to enjoy the lush, serene, setting. Covered deck surrounding upper level extends living area. Kitchen updated with granite & tons of custom cabinets. Downstairs has bonus & 2 bedrooms. Home well maintained & updated. Includes barn, functional dog kennel, creek running through, private spring." "Come home to this secluded 3.6 acre country hideaway! Wrap-a-Round covered porch & large back deck perfect for outdoor entertaining or quiet relaxation under the stars in the swim spa! Great open floor plan in the kitchen, nook and family room. Large master suite with jetted tub and walk-in closet. Only 30 minutes to PDX but feels a world away!Don't miss the garage/shop with water & 220 Power!" "With elegance and functionality, this home has it all! 3 generous sized bedrooms, each with walk in closet, and a luxurious bath in the master. A true cooks kitchen with gas range, granite cntr, tile flr, and an open great room layout bathed in natural light. Separate den/office and family room w/cabinetry & stubbed in plumbing for future wet bar. Close to schools, park, and gorgeous mountain views! Too much to list, a must see!" "Updated One Level Home on .38 Acre Fully Fenced Lot. Dead End Road. Recent Custom 27x27 Shop w/Paint Booth. Walnut Floors and Wood Fireplace in Living Area. Premium Vinyl Windows, Updated Heat Pump. Kitchen w/Granite Countertops and Eating Bar. Updated Baths w/Tile. Laundry w/Sink. 4th bedroom currently used as Exercise Room. Wainscoting in Dining. Covered Porch/Patio/Deck Area. Tool Shed. Appointment Only. Please Do Not Disturb Owner." "This newer 4 bdrm, 2 1/2 bath hm offers a great use of space! The main flr boasts a kitchen w/hdwd flrs, granite counters and plenty of counter space all open to the dining area and living room. One of the lg upstairs bedrooms could be a nice play/bonus rm. The huge master suite has a cozy fplc, lg walk-in closet and a relaxing soaking tub. The cul-de-sac location features a patio, sprinkler sys, garden beds and fenced yard. Very nice!" "Wonderful location for this 3 bedroom + den home. Formal living room, island kitchen with stainless appliances, great room with gas fireplace & slider to backyard patio, plus den/office space on main. Master bedroom complete with soaking tub in attached bath. Enjoy your fenced backyard with easy-care landscaping and small pond. 2-car garage for parking & extra storage. All located at the end of the road allowing for a more private feel." "4 bedroom 3 1/2 bath home with 3 car garage, situated on a large lot with RV Parking pad, fenced yard, play structure, tool shed w/walk in cooler, HUGE master suite features a gas fireplace, walk-in closet, extra addition created room for a large kitchen and office area, farm house sink, plenty of storage, separate living and family room, kitchen w/SS appliances, central air, newer furnace." 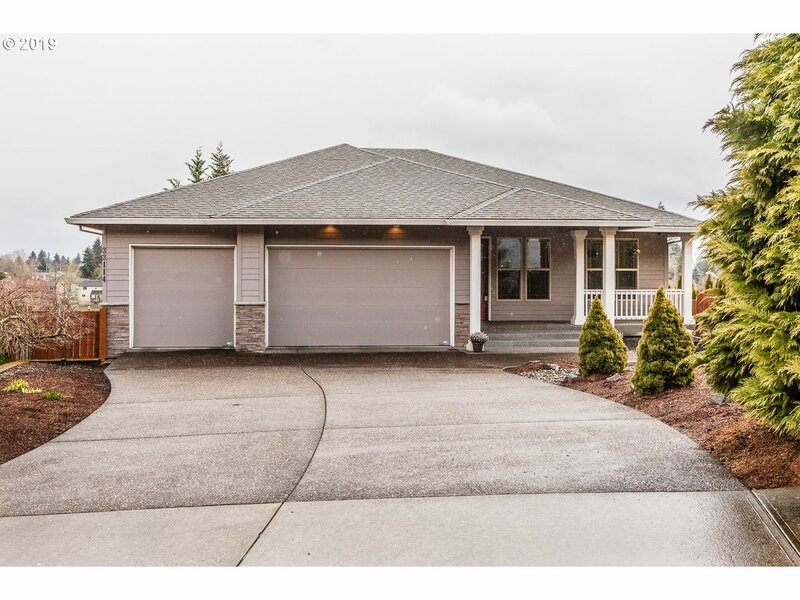 "Great floor plan in premier South Scappoose neighborhood. Tastefully finished with large back yard, mature landscape, over-sized driveway and great location. Very well maintained. Tool shed with concrete pad. (4) Bedrooms upstairs with den/office on main. 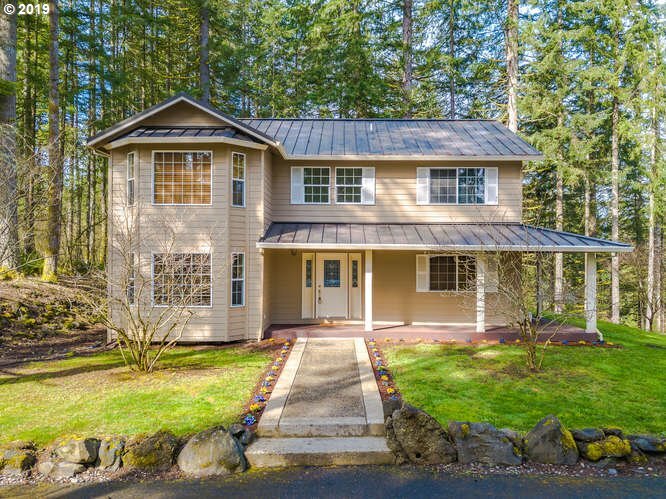 Just in time to enjoy the spring and summer in a fantastic Scappoose home with one of the best commutes to the city." "Charming Home Offering Spectacular Views On Corner Lot! Newer flooring, wood burning fireplace & offers clear Mt views. Access to deck from dining room. Updated kitchen w/ granite counters, eat bar & access to utility. Master suite & 2 generous spare beds on main. Updated bathrooms. Large family w/ 2nd fireplace & walk-in closet down. Roundabout driveway w/ RV parking. Deck, covered patio & separate driveway w/ RV parking in backyard." "If you are looking for a wonderful location with views and a fixer upper that would allow you to create your home as you want it, you need to see this house. The price includes the cost of a float replacement. While it currently is configured as a 1-bedroom home, there is room in the unfinished boat well, that has been filled in, to add 2 more bedrooms & bathrooms. Its location in the down river inside end slip makes the views amazing." "Light bright open plan with entertaining in mind. Spectacular location in an outside slip on the Multnomah Channel. Gleaming ash floors, large bedroom, mini-splits for heat/AC, & gas fireplace. The sunroom is sure to be a favorite place to relax or use as a wow factor guest room. Meticulously maintained & move in ready. 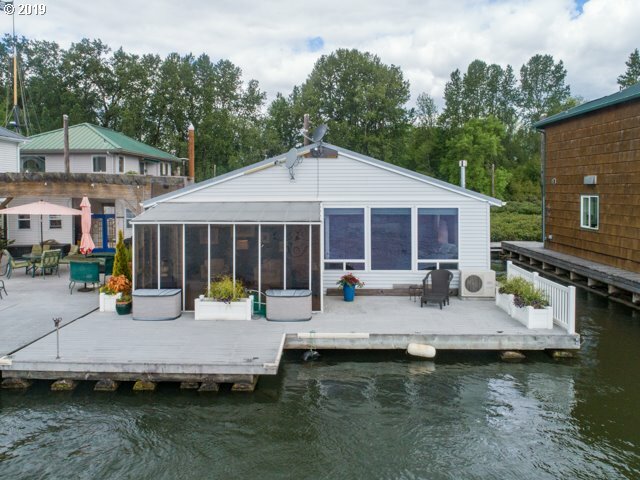 For drone video of moorage & video walk thru of house click virtual tour links."